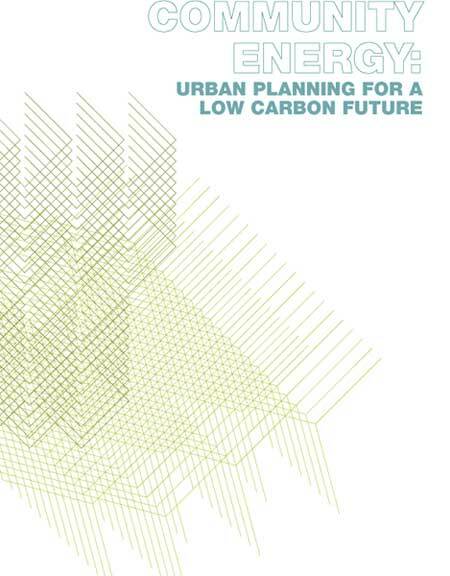 Launched on 31st March 2008 URBED's new planning guide 'Community energy: urban planning for a low carbon future' is designed to provide a clear direction for Local Authorities in responding to the new PPS1 supplement on planning and climate change. It provides a practical vision of how our towns and cities can plan for the development of community-scale, decentralised energy. It explores the strategic and spatial framework for action. The guide's overarching message is that Local Government has a key role to play in coordinating action, making full use of its planning powers and acting as pioneers and champions for the development of decentralised energy networks. To provide inspiration the guide draws upon the lessons from over 20 case studies of pioneering local authorities in the UK and mainland EU. A novel aspect of the guide is its spatial framework for a hypothetical low carbon city. The second part of the guide is organised by character areas of a city, and for each area we have explored the different building typologies and the opportunities which exist for low carbon and renewable energy supply technologies. The guide was commissioned by the Town and Country Planning Association (TCPA) and the Combined Heat and Power Association (CHPA), with sponsorship provided by English Partnerships and CHPA members. It was written by Nick Dodd from URBED, with support from Michael King (CHPA) and Rob Shaw (formerly TCPA now Faber Maunsell), with technical input from Pernille Overbye (Ramboll). The guide, including a special fold-out 'city energy map', was designed by UHC, a Manchester-based creative studio.